It was a 2 year old Appaloosa gelding, I used the same tack as I have been using for 3 previous months. A new pleasure saddle with neoprene roping girth. My error was I did not warm him up as long as I had been previously because we had been doing so well and I am working towards less warm up time. The weather was a cool day with some rain and I just needed to quickly check a fence line. I was proceeding away from home along the fence line and he decided to begin to trot. Next I went to turn him in a circle to the left to slow his pace and he began to gallop with his head turned in the asking of the circle. The pace increased and I tried to ask him to turn to the right direction since left turn was not working and continued to ask each direction to no avail. He turned his head in response to the pressure but his legs kept running straight and the direction was homeward bound. What I learnt is he became very frightened to the point he did not listen to my commands to turn or halt when my weight became uncentered. When he bolted he also was not paying attention to his own safety as he was running head on towards a barb wire fence (he had previous experience in this pasture and knew this fence existed). The end result was I baled but also learnt I need to work through this issue of him being more at ease if I loose my balance again. Any suggestions for a particular ground exercise I can try with him? Oh, I know every second of what you went through. Back in my pre-enlightened days I had pretty much the same thing happen to me except I didn't have the bail off option. We went into a freshly bush hogged ditch wide open. The impact ripped me off the horse and I ended up under him. He rolled me out of the ditch in his hooves and left me spread eagled on the ground in the snow angel position all stomped on and tore up with my eyelids the only thing working. Well, my lungs and vocal cords were working really good because I knew my screams of pain were covering the county. Hmmmm... Let's see if we can be of any help and see what is going on here. There are a number of things here that by themselves could have caused your mishap. Add them all together and you are at the very least running (oops, excuse me) on the edge of disaster. First is the age of the horse. I know that traditionally horsewits(?) have said that if a horse isn't being ridden by the time it's two it's too late. I have yet to see a horse that I consider to be physically or mentally mature enough to start under saddle work much before the age of 4. Many of those who agree with me see nothing wrong with "light" work prior to 4. The problem comes in when we try to define what light work really is. Light work is an arbitrary definition arrived at by the one doing the training. When people bring horses they are having problems with to me AND I can determine a history, a high percentage of them were started young. When people bring horses to me that they are getting along fine with and they just want to communicate better with them AND I can determine a training history, a high percentage of those horses were started later. Young horses appear to be easy to train because they very often don't know what to do when presented with something for the first time. Their balance and life experience are not as developed as an older horse. You throw a saddle on an older more balanced horse and it moves you adjust accordingly. Throw a saddle on a young horse who can barely balance himself and you think, "Wow! He's really doing well." You get on him, same story. You get him moving out, ditto. Pretty soon you're rolling along on a slew of successes while the horse is just trying to catch up while engrossed in just getting its balance and orientation. This works just enough so that people thinks it works all the time. Then one day it gets distracted, off balance or disoriented and all its "training" falls apart. When this happens we look at what we were doing when the breakdown occurred and try to determine the cause. More than likely the cause is something that was passed over or mistaken for success earlier on. It may have little to do with the actual event itself. Most horses that are put under saddle are simply saddled and mounted and the steering and stopping are trained from the back by plow (direct) reining and kicking the horse's sides. In order to safely (another relative, arbitrary term) develop a well trained horse one has to start on the ground. If a horse cannot be driven from the ground, it is unlikely to be consistently driven from the back. Groundwork is essential to training. When we do our training from the back we are anchored to the horse and at the mercy of the horse. There are times when we have to train from the back. At the moment I'm at a loss as to when those times might be, but they are there. You can train a horse to do pretty much anything you want it to do from the ground. Training from the ground allows you to anchor your feet to the ground for greater leverage control. Then there is the matter of the bit. While you haven't mentioned what bit you are using, the chances are very good it is a Tom Thumb. You will hear it also being referred to a "the colt starting bit" because it it is "gentle." This is the world's worst bit with at least a half-dozen pinch points that can be set off with the slightest pull of the reins. Google ~> western Tom Thumb bit. Some even call it a snaffle. It is not a snaffle, it is a broken curb bit. The English TT bit and the western TT bit are two different beasts. Horses move toward pain or the expectation of pain. This is another point that I am at odds with many traditional horse folks. This is why when a horse cannot easily get away and you wail away at it to get it out of your space, it moves into your space. This is why when you see a rider whipping the rear of a balky horse it backs up. This is why when fighting or playing with another horse and one horse bites low, the victim goes low as well and why when bitten high, the victim goes high. A Tom Thumb or similar bit creates pain in the mouth, the horse goes toward the pain. The rider pulls to stop the horse, more pain, more speed. One reining does little good because it doesn't relieve the pain and as you have discovered, a horse can look straight into your eyes and STILL go straight ahead at breakneck speed. Some would advise you to use "the one rein stop" but this procedure must be taught from the ground and if done incorrectly, it can cause a wreck in and of itself. And if the horse is reacting to pain, the one rein stop (ORS) may not work. The one-rein is completely defeated by the action of the TT because each piece of the bit moves independently of the other piece. Other bolting causes could also be cervical subluxations, especially in the "yes-no" joints, the Atlas & Axis vertebra, shoulder dislocations and withers subluxation or other problems. It never hurts to have bolting horses examined by an equine chiropractor to see if some structural problem is contributing to the bolting. Now we get into the combination of green horse, new saddle, neoprene cinch. 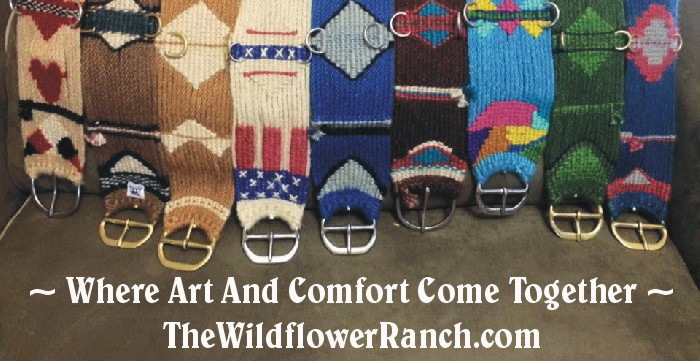 Check out Lynn Hollywood's site on the subject of cinches. Green horse speaks for itself. A new saddle more than likely has little give in it and can more readily jab the horse than one that is "softened," especially when it is being sat in by someone who may be unused to the saddle and experiencing balancing differences. And this is assuming the saddle fits correctly in the first place. 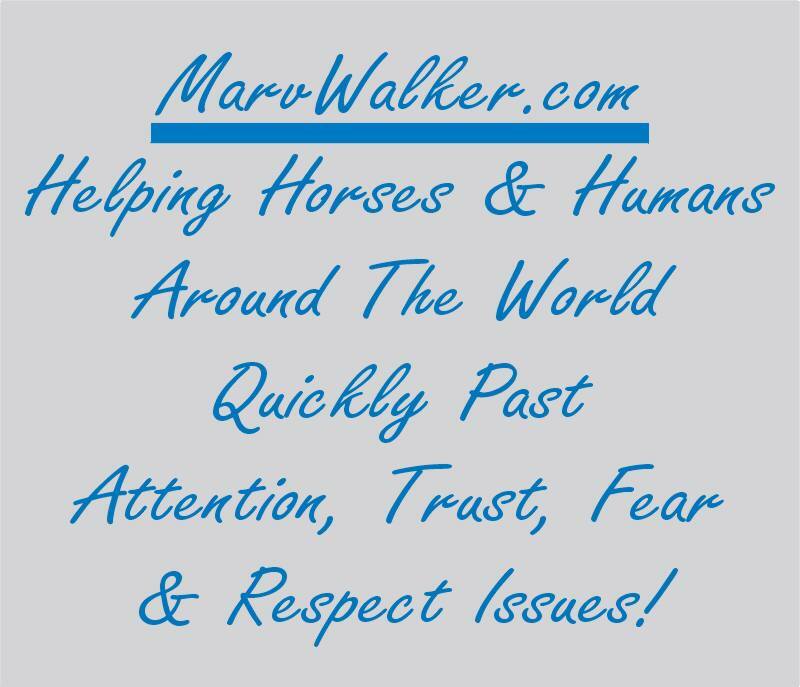 In your email I see a number of indicators that tell me your saddle could be a major part of the problem - very young horse whose body shape is changing because of age and conditioning. A neoprene cinch needs regular washing and re-airing otherwise it can become uncomfortable and galling. After washing firmly slide the edge of your hand down it to squeeze out water and reopen the tiny air pockets. And all this occurred on wet, uncertain ground. If chiropractic examination produces no possible cause, and even if it does, I'd let this horse grow a little more then restart him from scratch making absolutely certain he is comfortable, free and easy with one step before going on to another. Careful, slow retraining may also correct the problem if it is the caused by a training step that has been skipped or overshot.